This week on PopMatters is all about revisiting some familiar games: Journey and Earthbound. I don't get the chance to replay that many games. More accurately, I don't make the time. There's always something new and shiny. There's always countless responsible-adult type things to focus on. It's not like I have a problem playing the same game for what some might say is an excessive amount of time. Spelunky, Titanfall, Mario Kart 8, Smash Bros.; I've sunk dozens of hours into each. There's a common theme though: they're all unscripted. There's no real story, so everything that comes up is either procedural or driven by my interaction with other players. I seem to forget that even in a story-driven game, there's lots of variety between sessions. Sometimes it's just picking up on small elements I missed the first time, but mostly it's reinterpreting things based on what has happened to me since the last time I played the game. I remember reading Invisible Man as a kid and thinking it was fine. I read it again as an adult was in awe. 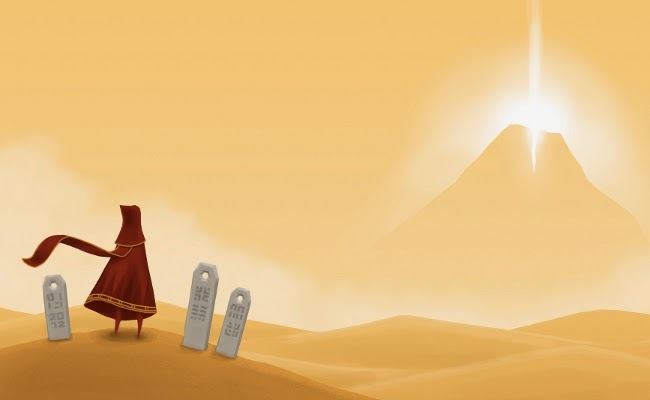 The nice thing about Journey is that it remains an incredible game and continues to impress with its attention to detail. Earthbound is following the trajectory of Invisible Man; what was once cool is now quickly becoming a masterpiece to me. These games haven't changed on any mechanical level; it's the intervening years that have changed my mindset.